You want to love your job. We’re here to help you with that. Above All exists to create a positive difference in people’s lives. We strive to be a place where people are valued, cared for, and empowered to reach their potential. This vision can only be achieved through collecting great people who truly care about their team members and take pride in the highest level of workmanship that our customers deserve. 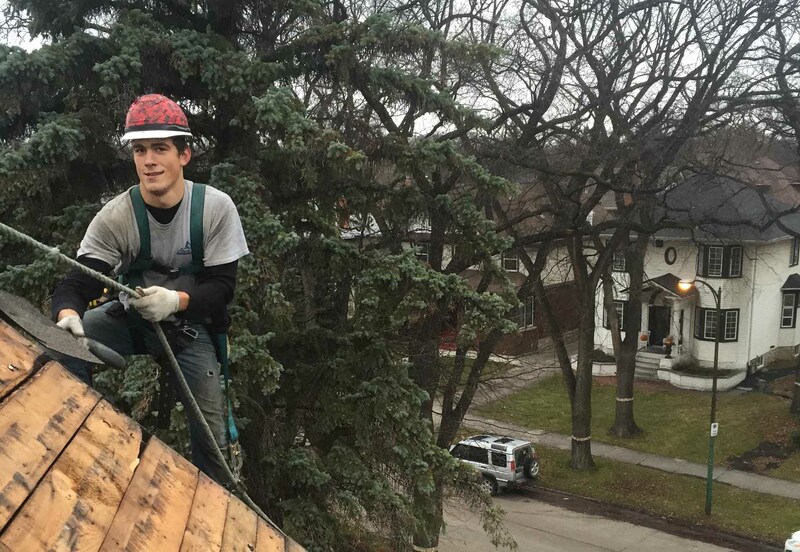 Above All serves the Winnipeg area with crews made up of dedicated, experienced, and qualified professionals in sloped roofing, polyurethane spray foam insulation, cellulose attic insulation, and aluminum soffit, fascia, and eavestrough. Each team has a leader who has several years of experience working in our company. All new employees will receive a written job description with goals and opportunities for further development outlined. Siding – Looking for experienced siding installers to join our siding crew. Experience with Hardie, KWP, and vinyl installation preferred. One year siding experience required. Contract or employment is currently available; we offer competitive piece work/hourly rates. Apply now! Soffit, Fascia & Eavestrough installers – Looking for soffit, fascia & eavestrough installers to join our growing team for this season! Minimum of one year construction experience with this type of work. Drivers licence an asset. Apply now! 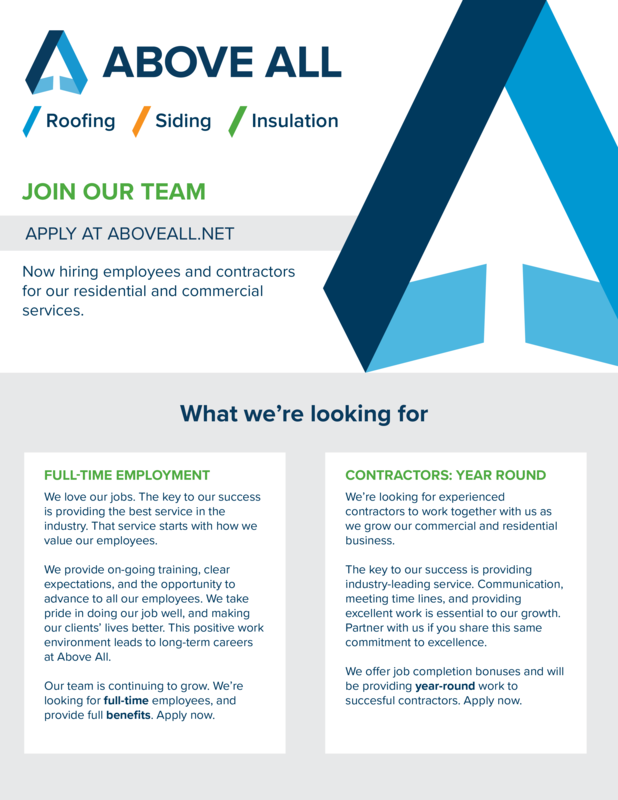 Insulation Installers – Looking to hire Insulation Installers to join our growing team! Must have a minimum of one year experience. We’re currently looking for spray foam applicators with CUFCA certification. Roofing and insulation experience preferred. Must have class 5 license and air brake endorsement an asset. Apply now! Roofing Installers – Looking for experienced roofing installers to join our growing team for this season! Must have at least two years installation experience with sloped roofing, preferably 3 or more. Drivers license an asset. Apply now! Note: Photo with homeowner’s son used with permission. He loved spending time with the crew. Sorry kids, Above All does not hire children.